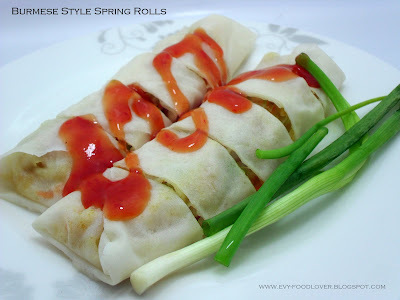 Which type of spring roll do you prefer ? Fried or just a soft one which doesn't go thru deep frying process? To me I like both of them and used to prefer the 'fried' version. However, as the letter 3 starts appearing on my age counter, I am trying to reduce the consumption of deep fried stuffs, little by little. Here in Singapore, they called it Popiah and it is widely available in most coffee shops . I tried them a few times, however I don't really fancy them as much as I like them in own country as they are way too sweet for my liking. No offence but my preference would be my country style Popiah. So, in order to fulfil my craving, I made my own version of it quite often. However, not knowing that spring roll skin can be eaten as it is after steaming, I ended up deep frying them most the time. This really is a new finding for me. I was quite delighted with my finding as it is not only healthier but also omit the air pollution in my squeeze living room (Fumes which release from deep frying process are really a headache for me). What a nicer way to consume it,huh. 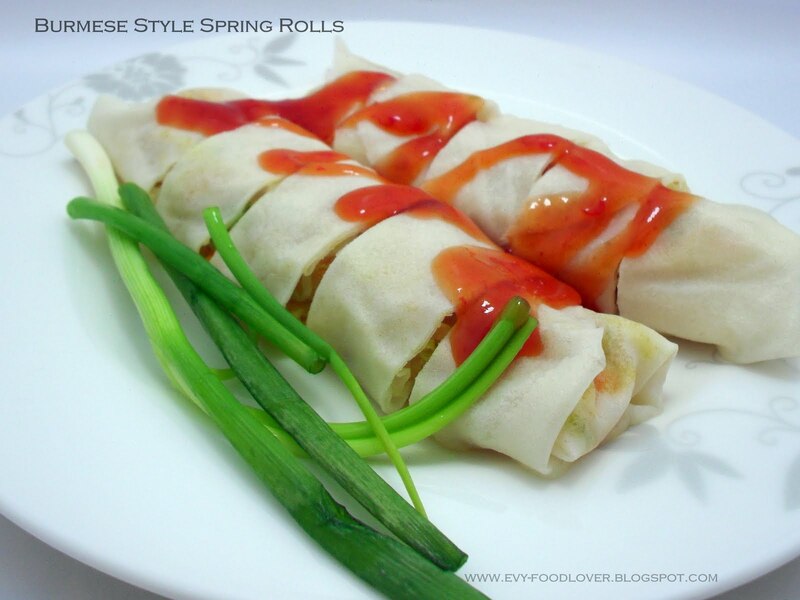 If I have chance, I will try to make Popiah skin by myself and not forgetting to share with you guys the result, of course. Add in bean sprout first and stir fry for about 2 mins. Then add in shredded turnip & carrot. Lastly add in shredded cabbage. Sprinkle some salt and adjust to taste. Let it cool completely before wrapping. Wrap the above mixed veggie with spring roll skin. Put it in microwave for 1 min before severing. Serve it with chili sauce while hot. Enjoy.